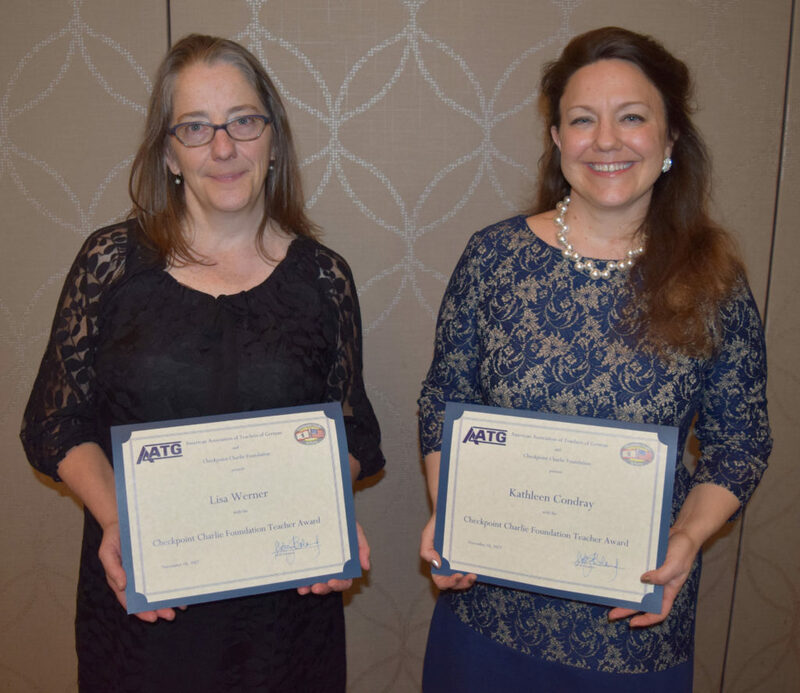 Every November, as part of the annual meeting of the American Association of Teachers of German (AATG), the foundation presents the Checkpoint Charlie Foundation Teacher Award to exceptional teachers of German in recognition of their contributions to the profession. The selection of the two award recipients is managed by the AATG. One comes from the elementary, middle and high school level, and the other represents a college or university. From 1999-2015, the award was known as the Outstanding German Educator Award. The award includes a 2,000€ travel grant that enables the recipients to visit Germany in the upcoming year and to participate in the Education Enrichment Program (EEP), which the foundation organizes as part of its School Teachers Exchange Program (STEP) for multipliers in American education. A research or project proposal is not necessary to be eligible to receive the award. Rather, the visit to Germany is intended to further cultural exchange between Germany and the United States and serve as a commendation for long-term, outstanding German instruction in the USA. For further information about eligibility and the nomination process, please see the website of the AATG.